By Fahad Khan in Social Media. Updated on April 22, 2016 . 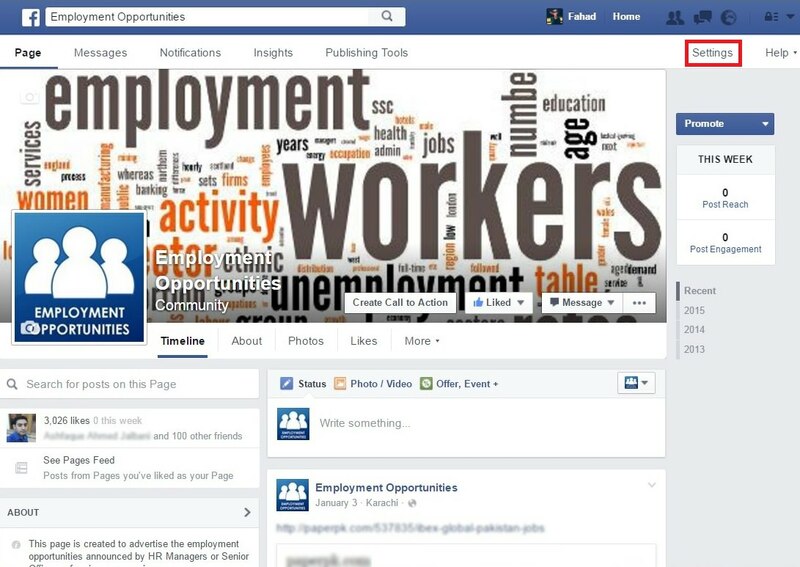 A Facebook page is a fast yet effective way to reach global audiences quickly. That is why brands, products, businesses and services have their own Facebook pages set up, usually in their native language or the lingua franca of the region they are in. However, to be able to publish in multiple languages widens the demographics of audiences that can be reached. 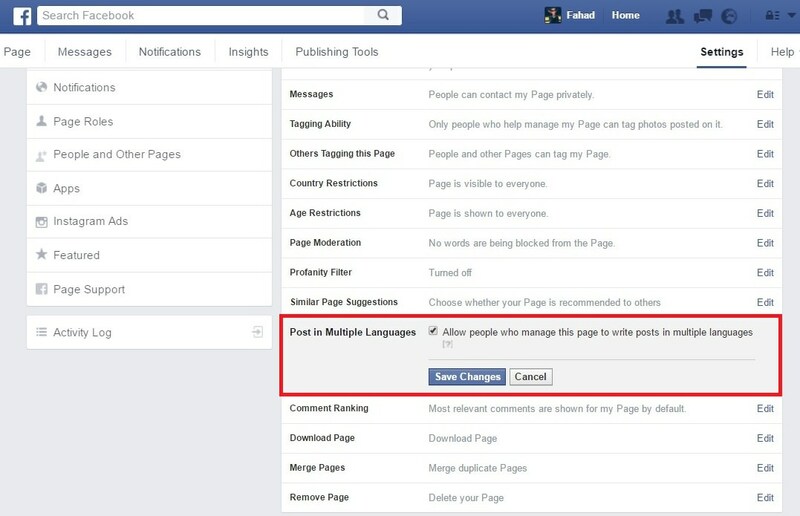 With that thought in mind, if you have always wanted to post in multiple languages on your Facebook page, you can because it’s a feature that is available to admins of Facebook Pages, if you know how to turn it on. Just follow these steps to start publishing content in more languages than one. Click on Settings at the top right hand corner of your Facebook page. 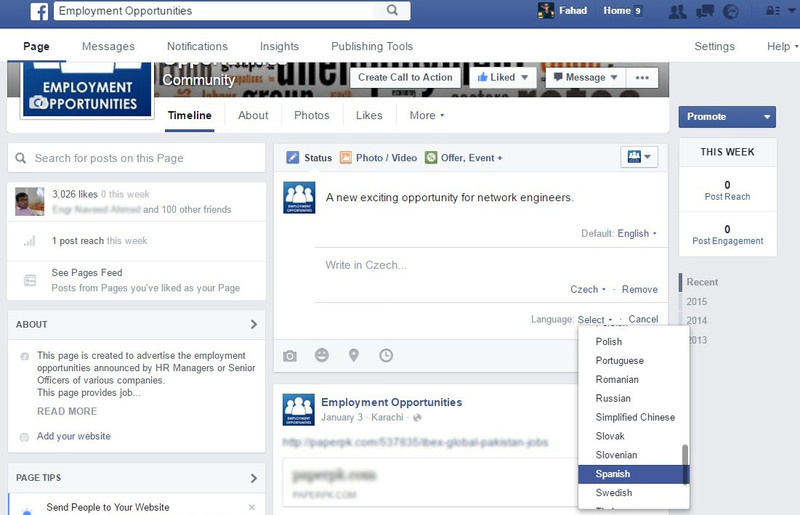 In Settings, locate the Post in Multiple Languages option and click on Edit. 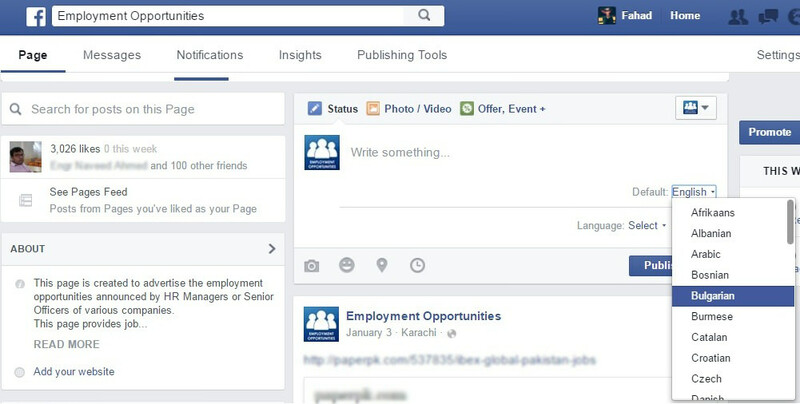 Click on the checkbox to allow the admin(s) of the page to write posts in multiple languages and click on Save Changes. Click on Write something… (textbox) on your Facebook page, and you will see the Write post in another language option right below the textbox. 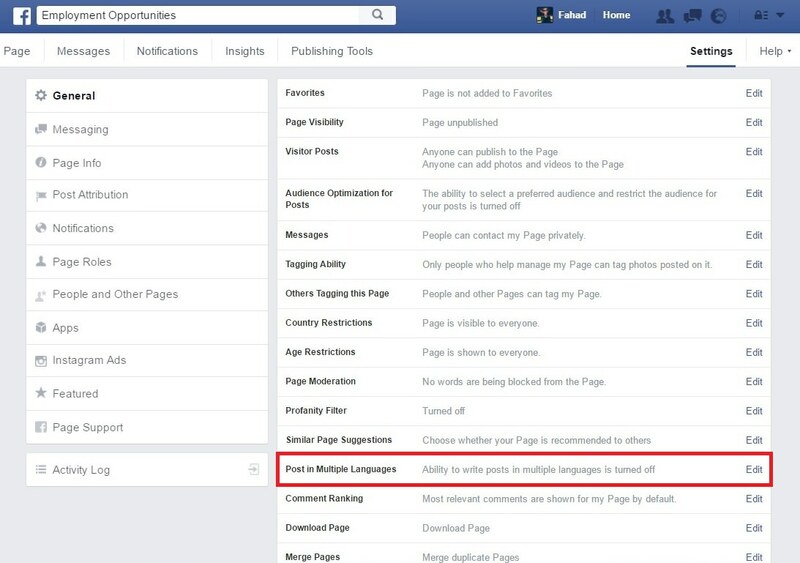 Click on it and you will see the default language for your page, which you can change if you want. Start writing a post, click on Write post in another language and then click Select to see a list of available languages. Choose the language you want to write in and key in your status. Repeat the same process for other languages you might want to include. Once you are done, click the Publish button. So now, whenever one of your fans land on your Facebook page and see this status, they can choose to see the status update in whichever of the languages you published in. To do so, they need to click on the Viewing: English dropdown arrow to see a list of all the languages that you have included. That’s it. If you own a Facebook page and a large portions of your readers read both English and another major or popular language then this is a way for you to communicate with the specific niches of your fans or followers. 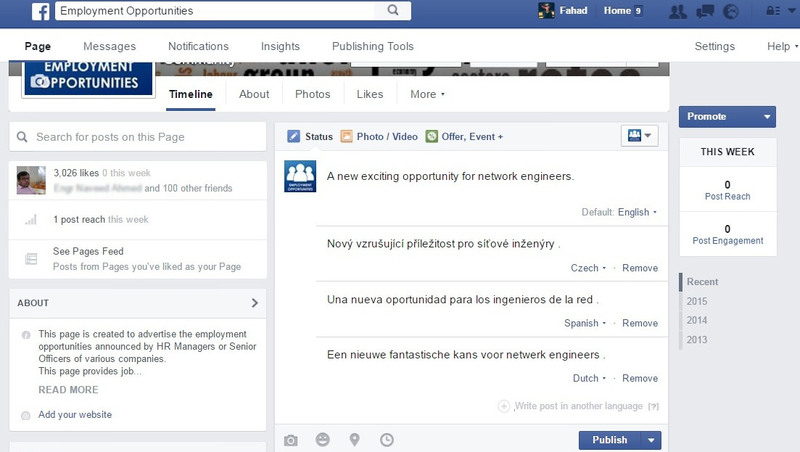 It’s also a better alternative than what Facebook’s in-house translation tool is providing. Note: For this demo, we have used Google Translate for the non-English statuses, so the translations might not mean exactly the same as what the English counterpart is trying to deliver. Don’t look at us, translation isn’t an exact science yet or a feature you can fully automate yet.